With a wide range of creams, butters and body lotions on the market, making a smart choice for skin care can become complicated. 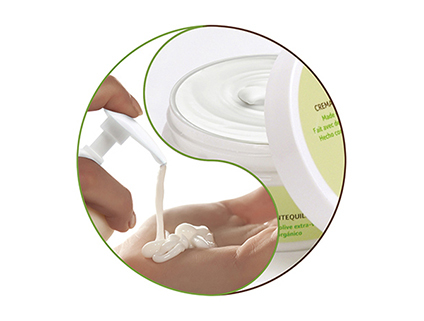 In fact, moisturizers contain a combination of humectants and emollients. Humectants have an effect on moisturizing the skin and the ability to retain its water while emollients act on nutrition. Understanding your skin’s needs and learning to read the ingredient list of a product will ensure you get the best results. Neolia products counter popular beliefs because of their high concentration in oil. All in all, our butters and lotions have been formulated in a complementary way, to fulfil all of your skin’s needs. Now go ahead and take full advantage of that ! https://www.neolia.com/wp-content/uploads//2017/09/yin-yang-petit-1-5.jpg 321 424 Martin Cote /wp-content/uploads/2016/11/logo-neoliax2-300x86.png Martin Cote2017-10-06 15:58:142018-06-19 12:18:47Neolia butter and lotion: complementary or seperate entities ?